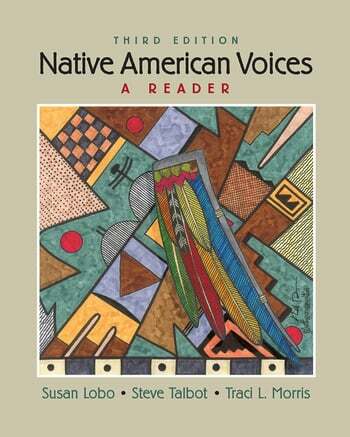 This unique reader presents a broad approach to the study of American Indians through the voices and viewpoints of the Native Peoples themselves. Multi-disciplinary and hemispheric in approach, it draws on ethnography, biography, journalism, art, and poetry to familiarize students with the historical and present day experiences of native peoples and nations throughout North and South America–all with a focus on themes and issues that are crucial within Indian Country today. For courses in Introduction to American Indians in departments of Native American Studies/American Indian Studies, Anthropology, American Studies, Sociology, History, Women's Studies. SUSAN LOBO is a consultant, emphasizing research, advocacy, and project design and development. She works primarily for American Indian communities, nonprofits, and nations in the United States and Central and South America. She holds a Ph.D. in anthropology from the University of Arizona and has taught at the University of California at Berkeley, where she was the coordinator of the Center for Latin American Studies. She has also taught in Native American Studies Departments at the University of California, Davis, and at the University of Arizona, and she has taught environmental studies at Merritt College. Between 1978 and 1994 she was the coordinator of the Community History Project archive, housed at Intertribal Friendship House, the Indian Center in Oakland, California. This archive is now at the Bancroft Library, Berkeley. For many years she was also a producer of the KPFA-FM radio series Living on Indian Time. She was a co-founder of the South and Central American Indian Information Center and of the American Indian Community History Center. Her books include A House of My Own: Social Organization in the Squatter Settlements of Lima, Peru (1982); American Indians and the Urban Experience (co-editor; 2000); Urban Voices: The Bay Area American Indian Community (2002); and The Sweet Smell of Home: The Life and Art of Leonard F. Chana (2009). She has also written many articles for professional and popular journals. She is currently a distinguished visiting scholar in American Indian Studies at the University of Arizona and a consultant for Tohono O’odham Community Action. STEVE TALBOT received a master’s degree in anthropology and community development in 1967 from the University of Arizona and a Ph.D. in anthropology from the University of California at Berkeley in 1974. In the early 1960s he was an American Friends Service Committee fieldworker in Indian community development on the San Carlos Apache Reservation in Arizona. He served on the board of Oakland’s Intertribal Friendship House and was closely associated with Indian student activism, the 1969 Alcatraz occupation, and the founding of the University of California at Berkeley Native American Studies program. He was acting assistant professor of Native American studies there from 1971 to 1974. He has lectured and taught Native American studies courses in Europe and at several universities in the United States. He chaired the anthropology and sociology departments at the University of the District of Columbia, until 1983, and was a lecturer in Native American Studies at the University of California at Davis from 1988 to 1990. In 1999 Talbot retired from San Joaquin Delta College in Stockton, California. Currently he is adjunct professor of anthropology at Oregon State University and an instructor in sociology and Native American Studies at Lane Community College. His publications have dealt mainly with Native American sovereignty, religious freedom, and political activism. These include the book Roots of Oppression: The American Indian Question (1981); the article “Academic Indianismo: Social Scientific Research in American Indian Studies” in American Indian Culture and Research Journal (2002); and the article “Spiritual Genocide: The Denial of American Indian Religious Freedom from Conquest to 1934,” Wicazo Sa Review (2006). Currently he is completing an introductory text with the working title Contemporary Native Nations of North America: An Indigenous Perspective, to be published by Prentice Hall. TRACI L. MORRIS (Chickasaw/Caucasian) holds a Ph.D. in American Indian Studies. She is the owner of Homahota Consulting and in this capacity serves as the Policy Analyst for Native Public Media. Through Homahota Consulting, Morris provides technical training for Indian country and is a community educator on tribal issues. She has worked with Native urban and tribal communities in the state of Arizona, with state agencies, the Arizona governor’s office, the Phoenix Indian Center, the Tucson Indian Center, and tribal leaders in policy analysis, resource development, and training and technical assistance. She has lectured widely over the years to community and government organizations on a wide range of Native issues and topics. Morris has lectured at universities throughout the country. She has nine years of teaching experience at various colleges and universities in Arizona, including the University of Arizona and Arizona State University. Currently she is adjunct faculty for the American Indian Studies Department at Arizona State University and in the Native American Studies Department at Eastern Central University in Oklahoma. Morris has also worked in the arts for several museums and galleries, including internships at the Smithsonian Institution’s National Museum of the American Indian, at the George Gustav Heye Center in lower Manhattan, and at the Arizona State Museum. She worked as manager and buyer for Tucson’s oldest Native American Art Gallery, Bahti Indian Arts.